Introducing the Gigabyte AERO 15, the performance in the AERO 15 sets it apart from the rest, packed inside is an Intel 7th Gen CPU for increased processing power and 3x less power consumption, an NVIDIA GTX 1060 with 6GB of VRAM is what powers the graphics, this paired with ultra-fast DDR4 RAM allows for unbelievable performance. The AERO 15 comes standard with an M.2 PCIe NVMe SSD with a capacity of 512GB that has transfer speeds up to 4x faster than SATA3 SSDs. Computer Numerical Control or CNC is the state of the art technology Gigabyte are using in the Aero 15s chassis manufacturing, it is an automated and precise machine tool which creates the laptop chassis in fine detail. To enhance the design Gigabyte use Nano-Imprint Lithography which gives the laptop a unique pattern design. 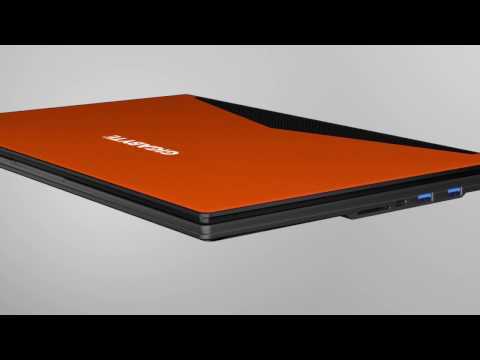 The Aero 15 comes in 2 other high quility colours. The Gigabyte AERO 15 opts for a class-leading 5mm bezel to surround the Full HD anti-glare LCD display. This allows the chassis to be alot smaller which not only brings the width and thickness of the laptop down but more importantly for a portable system the weight. The weight is kept down to just 2.1kg with a thickness of just 1.9cm when the laptop is closed. The AERO 15 laptop incorporates specifically designed dual fans and heat pipes that allow the system to take care of the cooling of both the GPU and CPU. The Supra Cool Fan x2 system helps manage the temperature to maximize performance, this gives you a smooth experience every time you game or create on your AERO 15 Laptop. X-Rite Pantone® is a world-renowned authority on colour. Pantone® is known worldwide as the language for everything that is colour, going from manufacturer to retailer to customer. In order to give every professional the most accurate colours possible every display on the AERO 15 is certified to produce the best quality colour poissible. Make your AERO 15 completely unique to yourself with the RGB Fusion software from Gigabyte. This software allows you to personalise any key with a Macro or RGB lighting from a pallet of more than 16.8 million colours. The programmable Macro Keys will allow you to maximize your productivity and ease your day to day tasks. 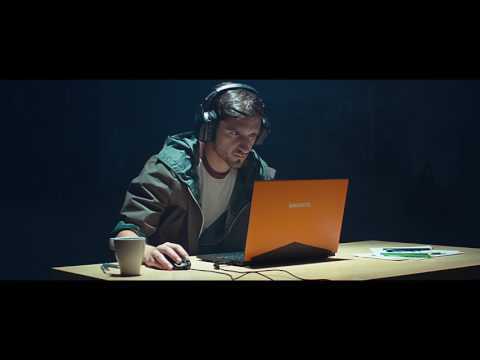 The Gigabyte AERO 15 is powered by a high-performance 94Wh batter which allows you to work for up to 10 hours. To maximize your mobility the AERO 15 comes with an ultra-thin adaptor equiped with its own USB port to allow you to quick charge other devices and not compromise the ports on your laptop. On the Gigabyte AERO 15 features the USB 3.1 Type-C connection port that allows you to transmit data at incredible speeds up to 40Gbps. Besides using the port for speed transfers you can also connect up to 2 external displays running at 5K each. The Thunderbolt™ 3 technology on the AERO 15 means that the port is also reversable so no more headaches on which way round to plug in. One of the Gigabyte AERO 15’s best features is its ability to output up to 4 external displays. You can output 2x 4K displays using the HDMI 2.0 and the Mini DisplayPort PLUS 2x 5K displays using the Thunderbolt 3 Port.